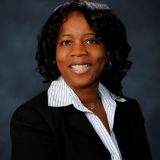 Ms. Chancy is the Director of Tax Services and has more than 20 years’ experience serving Non-Profit Organizations. Ms. Chancy has worked with some of the largest governmental, quasi-governmental, and nonprofit entities in the nation. 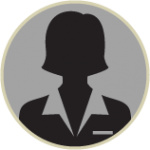 Ms. Chancy serves as a trusted advisor, helping clients work through issues such as entity formation, applying for tax exemption, staying exempt, unrelated business income tax, and board governance. Ms. Chancy prepares and reviews Forms 990, 990PF and 990-T to ensure our clients are presenting themselves in the best light while reporting accurately to taxing authorities. Ms. Chancy has a BS degree in Accounting from Temple University and a JD from the Beasley School of Law, Temple University. 1617 John F Kennedy Blvd.